Cardio Pulmonary Resuscitation or CPR training can teach you how to react and save a life in a medical emergency. Whether you’re a new parent, a firefighter or a lifeguard, first aid training and CPR is a valuable skill in a number of emergency situations. Many professions actually require certification as a prerequisite for employment. Of course healthcare workers including physicians, nurses, EMTs and paramedics are required to have CPR training and certification to be on the job. Even caregivers, office, and non-medical hospital employees are often required to have CPR training and certification. Even though they may not be called upon to use it during the normal course of their work, it may be a necessary credential in order to work on the floor in a hospital. The fact is, anyone and everyone can benefit from CPR training. The American Heart Association does not limit training by age. Any person who has the upper body strength necessary can take a CPR training course and receive certification. Studies show that children as young as nine can learn, retain and perform CPR. What Will CPR Training Teach You? There are many emergency situations where administering of CPR early in a crisis can save a person's life. Training teaches you the basics of the technique, and more importantly how to respond to a situation where a person has stopped breathing or gone into cardiac arrest. The American Heart Association has been instrumental in having automated external defibrillator (AED) devices placed in ambulances, stadiums and other public gathering spaces. Protocols include training in the use of AED devices. CPR/AED training is available in a variety of levels from classes for the layman, to advanced training for medical professionals and first responders. Early application of CPR is critical in reducing the incidence of death in cardiac arrest patients. Both CPR and AED training are included as a part of every type of course. CPR training is available as both a course taught in a traditional classroom setting and also as an online e-learning course. Both offer unique advantages, and upon completion, students who pass the written and practical skills testing will become certified. Classroom training is recommended for non-professionals and students who are seeking their first certification. Classroom instruction is taught by experienced medical professionals like nurses, EMTs or paramedics; first time students benefit greatly from having access to working professionals. You’ll gain hands on experience and have your questions answered by someone who has been in the field and used the techniques being taught. Online CPR training is designed for students seeking recertification, or people who are currently working and are seeking a career change. The coursework can be challenging for a first time student, but if the student is organized and driven, the course might be a good fit. Online study offers flexibility for those with busy schedules and students can study at their own pace. Online study may also be slightly cheaper. Whether you take the course in-person or online, you will need to spend at few hours at a training facility for the hands on instruction and skills testing required for certification. Upon the successful completion of your CPR training you will receive a course completion card issued and certified by the American Heart Association. The card remains valid for two years from the last day of the month of your graduation. You will receive the card in the mail from the AHA within 20 days of passing the course. This card should be presented as proof of certification to your employer. Before the end of the two year period, you are required to take another class and a skills refresher. The AHA is constantly updating and refining protocols so it’s imperative to remain current every two years. Your AHA issued CPR certification card is accepted in all fifty states. CPR training classes are available for every level of student, whether they’re a complete beginner, new parent, or a healthcare professional. For the most part, CPR classes are geared towards the beginning student, but are a requirement for medical professionals as a prerequisite for advanced certification in Basic Life Support (BLS) and Advanced Cardiac Life Support (ACLS). Make sure any training you take is approved by the American Heart Association and takes place in an AHA certified facility. 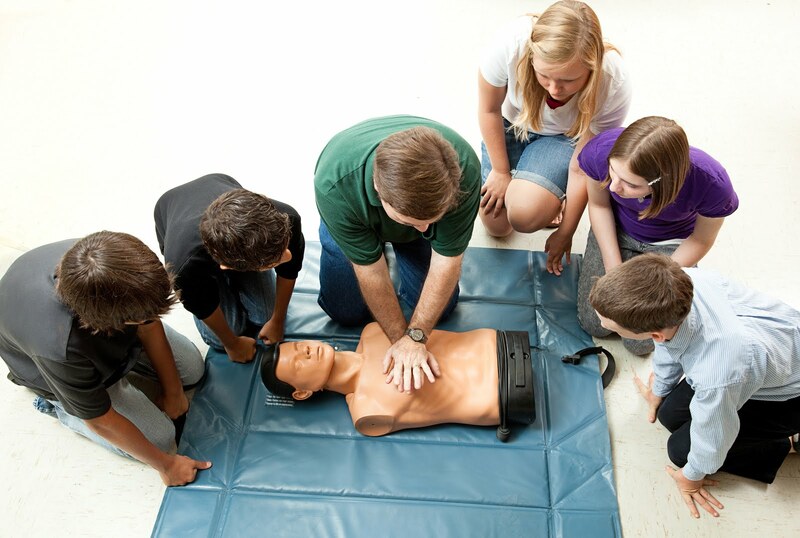 Medical professionals must be trained in advanced techniques including the use of basic equipment, two person CPR and techniques for children and infants as well as adults. Non-medical personnel are usually required to maintain certification at a basic level, but AED training may also be required. CPR certification is a great personal accomplishment that will help prepare you to save the life of a friend, work colleague or family member. Whether your goal is to prepare for a career change to the medical field, need certification for your job, or simply want to be prepared, CPR training is a worthwhile investment in your future.